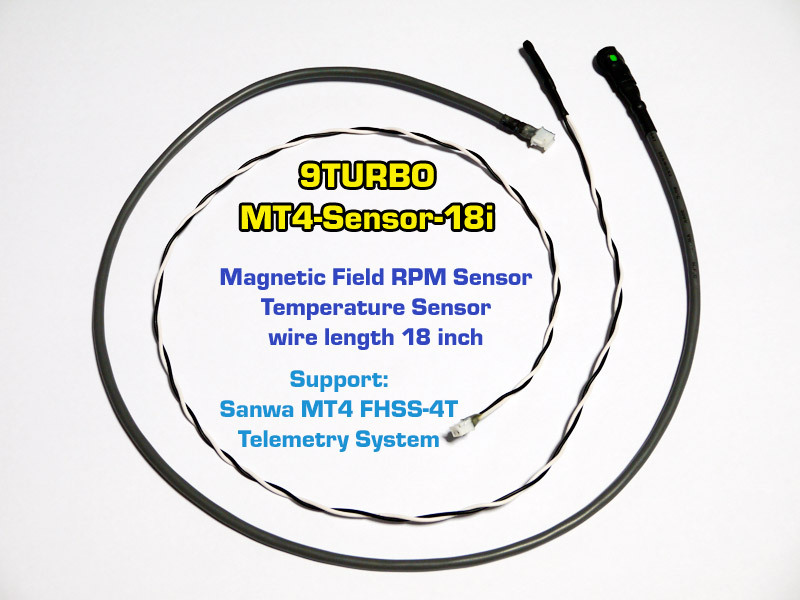 Sensor set for use with Sanwa MT4 FHSS-4T Telemetry system. it can plug to sensor socket of receiver RX-461 directly. 1 pcs. Magnetic field RPM sensor 18 inch wire length. 1 pcs. Temperature sensor 18 inch wire length.